Top Tips for your PhD elevator pitch! BSA Postgraduate Forum – Life Post PhD: What’s Next? So, you want to be a researcher? How and where to look for research funding post-PhD, Dr Sally Brown. Hot-desking and the Race to the Bottom. This is not a typical day, but none of them are that alike…. The day starts when my son wakes up – he’s three – generally some time after six in the morning. Today was just after eight because he woke up in the middle of the night and didn’t go back to sleep for over an hour. This meant that I missed the routine of breakfast with him, instead getting changed and heading straight to work, with a banana for breakfast when I got there. I don’t have any teaching today, but I’ve had about six hours of that this week. The first hour and a half of the day were spent putting the finishing touches to a poster I’m presenting at a conference next week. I was trying to get this done last night when my son woke up! I took it over to media services, got them to check it, and then submitted the file for them to print. I’ll get it back on Monday morning. I’ve got half an hour until a meeting so I read through an ethics form that one of my supervisees has sent me for their research project. The deadline for ethics forms is next week, and I’m getting floods of forms to check before they get submitted – I supervise 30 final year students and am also on the ethics board, so I get other staff members’ student forms to read, too. It’s like a ethics form tsunami at the moment. I then have an hour’s meeting with some colleagues to discuss an doctoral module that we’re teaching in the New Year. We need to work out how to divide the curriculum into a certain number of sessions, and then think about what each of those sessions will consist of. We have different but overlapping areas of interest and expertise, so we need to try and tessellate all of that. We generate some good ideas and agree to draft three classes each on certain areas, which we’ll share later and comment on and amend before setting them up in full. I now have an hour to finalise a research proposal we’re submitting. I’m the PI on a small project with three other colleagues, and we’ve been drawing up a project plan over the past few weeks. We sent it to a senior academic at another university for feedback as a ‘critical friend’, and made some amendments based on her suggestions. I email the academic back to thank them for their help and provide some responses to their comments and thoughts, most of which we’ve been able to address. I do that, submit all the paperwork to my head of department, and then manage to look through another research proposal and ethics form before lunch – last night’s curry and rice. Magic! I work through a few more ethics forms and proposals, all in various states of undress. Some students require a lot of guidance and email (very!) regularly, while others go off for a few weeks and then send pretty much complete pieces of work. It’s often a question of confidence. It’s two o’clock now and I have two students coming to see me with some questions. I like meeting students one-to-one, getting to know them and helping with any issues. That’s all done and I meet a colleague with whom I coordinate our departmental research centre. We have a few jobs to sort out before Christmas and we agree on the what and when. The internet goes down – bugger – most of my work is in my inbox. I have to record some students’ grades which I can do on the internal system, and by the time that’s done we’re all connected again. More proposals and ethics forms. Then it’s home, supper, mucking about with the kids, followed by bath and story time (theirs, not mine). Unusually for a Friday I still have a stack of things to do – it’s those students’ looming deadlines. If I don’t do it tonight (I don’t work on weekends, it’s not fair on family) I have to do it early next week, and I’m at that conference. A handful more proposals and ethics forms, some complete and some with a long way to go. I also have to review an ethics application from a colleague and send some of my own students’ stuff on to the ethics committee. I think I’m done. I – stupidly or wisely – have a quick look at my poster again and spot a few typos. Mortifying! I change them and send a pleading email print services – hopefully they can still get it printed on Monday before the end of the day. I’ve been tweeting on and off and replying to minor emails all day, but there are still a few things I’d like to get out of the way. I do like a tidy inbox. Now it’s midnight, and I’m finally done. Not a typical day at all, but sometimes it rolls like this. 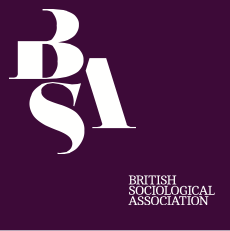 Previous postGenerative Crises and the Building of Sociological Futures: Committing Sociology in the Contemporary Academic Terrain?